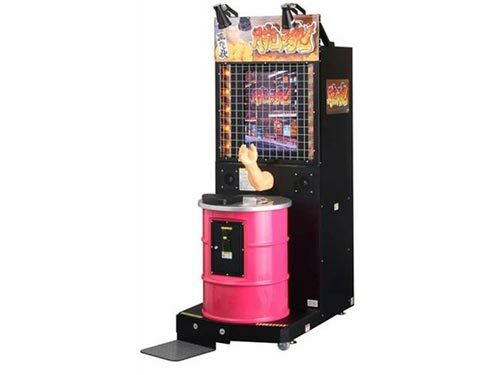 The company in question - Atlus Japan - is in the process of removing [PDF link, Japanese] all 150 of its ‘Arm Spirit’ arm wrestling coin-op machines from arcades across Japan after reports that people have been getting more than they bargained for when, literally, chancing their arms. According to AP, three players have ended up not with either humiliating defeat or the joy of beating a plastic bicep, but with actual broken arms. Given that the opponents featured in the game include drunks, dogs (really) and French maids, the injuries seem somewhat surprising. If Atlus really thinks its customers are stupid enough to break their own arms without outside intervention, then perhaps they’re in the wrong business.